touRRoir is the first dedicated Global Forum drawing Food, Tourism & Culture together to show that by fostering the shared values of these three sectors, companies and nations can build brands and associated soft power attractiveness. It will explore how best to harness the exploding search for authenticity for the long term benefit of all stakeholders, including for the consumers themselves. touRRoir will look into every aspect of food tourism and its inextricable link to a country’s culture and discuss the rapidly growing future of food in tourism and the disruptive technology developments facilitating and even driving this change. 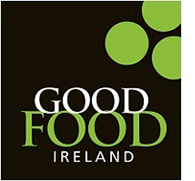 Through the day you will experience a Good Food Ireland Showcase Networking Lunch featuring Ireland’s top artisan food producers and craft drinks specialists together with chefs from around the island. You will have the opportunity to meet the people behind the food and hear their stories. touRRoir will culminate with a Networking Reception and Collaborative Gala Dinner – Putting Landscape in a Pot – a unique celebration dinner incorporating the touRRoir International Food Tourism and Culture Hall of Fame and the Good Food Ireland Best of the Decade Awards. The dinner will see the collaboration of acclaimed chefs craft a menu inspired by Ireland’s landscape and seascape. It will feature Irish food producers and craft drink pairings. touRRoir will inspire, educate and call industry to action on how the combination of food, tourism and culture has become the leading hook in travel. You will learn about the global search for authenticity in these sectors, the single most important movement driving consumer behaviour today. World class practitioners and experts such as Hillary Smith, Conde Nast, Jean-Michel Petit, Founder, VizEat.com, Sustainability Index Guru Guy Bigwood, MCI Global and Alicante’s Grande-dame of Spanish Gastronomy, Maria Jose San Roman of the Michelin Star Restaurant, Monastrell are just some of the speakers in attendance. If your business touches any of these three strands – food, tourism culture – then you absolutely need to be at touRRoir.